The L.A. Coalition believes that life-long learning is necessary for individuals to gain a skill and up-grade their skills over time to provide more opportunities for individuals to participate in the workforce. That is why the L.A. 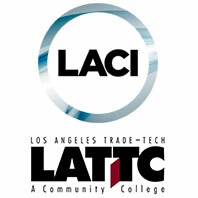 Coalition is partnering with the Los Angeles Trade Technical College (LATTC) and the Los Angeles Cleantech Incubator (LACI) in the fall of 2017 to pilot a Books & Tools Program. Cost: Most current primarily focus on tuition as the key financial barrier to skill attainment, the cost of books and tools can be up to 5x the average annual community college tuition cost of $1300 for students enrolled in our pilot programs. As a point of reference, just over half of students enrolled at LATTC are at or below 150% of the federal poverty level. This program is critical at a time when nearly one-third of post-recession job growth in the region has been in low wage occupations, yet positions that pay a middle class wage with benefits go unfilled due to a lack of workers trained with relevant skills. The L.A. Coalition will provide $100,000 in scholarships to students of high financial need enrolled in the Nursing Associate Degree program and Rail System Technology Program of Study at LATTC and in LACI’s STEM Training Internship. The Coalition will partner with LATTC and LACI post-pilot to track graduation and job placement rates for participating students.